Nice article! Helped me a lot! Thanks! "regex-validated-flags" should be "regex-validate-flags" to match the directive(attr.regexValidateFlags). Ha! Thanks for catching that! I made the change. I noticed in your example if $scope.test is set to blah the form still shows as invalid -- appears to be because ctrl.$viewValue is NaN when it runs initally? All too true. Thank you for reminding me to get back to this. Since I wrote this I learned I also needed to set up a $formatter as well as a $parser. I've made the change and I'll add additional explanation to the post. //test and set the INITIAL validity for regexValidate. From my tests, ctrl.$viewValue is always NaN at that point. Yep, another oversight. Serves me right for posting a blog entry right after I just figured out how to do this. Then again, part of the reason I do this is it's just not really well documented yet and I wanted to give others a hand. Appreciate your post -- I'd not seen any examples that included the $formatters in a validation directive so would have been stuck for a while had I not found this! Sorry, I missed this comment. I realize ng-pattern is there. I guess I just wanted an example of some sort of custom validator, which was really the point of the blog entry. I was struggling to come up with a validator that wasn't already covered by the framework. Right now I've written a simple directive that validates a text input field, and it correctly sets "ng-invalid" on the element when the validator fails, but it still allows me to submit the form. Thanks a bunch for any help!! 2. just putting the HTML5 required attribute on an input will tell newer browsers, such as the latest version of Chrome, to popup a little bubble near the the input saying a value is required when the user submits the invalid form. 3. Using the HTML5 placeholder="Enter text here" attribute will put some dummy text in the textbox to let the user know that they should enter something in the box. I hope one of those answers your question. Thanks, let me try and re-phrase my question a bit more clearly. What I like about the built-in "required" validation directive is if you attempt to submit the form without inputting anything in the field, 2 things happen: You get a nice little pop-up telling you it's required, AND the form won't submit. The pop-up bubble is probably the least important thing because - as you demonstrated - I can always show/hide a span tag with some wording next to the field to indicate why it's not valid. But I was hoping that by setting validity to false on the model, Angular would know that the form cannot be submitted. So either I'm wrong in that assumption OR I'm doing something wrong in my code. I appreciate your feedback, thanks for any additional tips or info you might have! 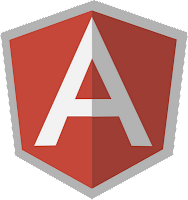 Well there is one quirk with validation in Angular I'm not sure I've mentioned elsewhere in my blog. If you have a form with only one input/select element in it, it will submit even if it's invalid. If you look in the angular source, this is done by design. And according to documentation, this is being done to conform with the HTML spec. Look for: "Submitting form and preventing default action." for SSN validation use string like below. 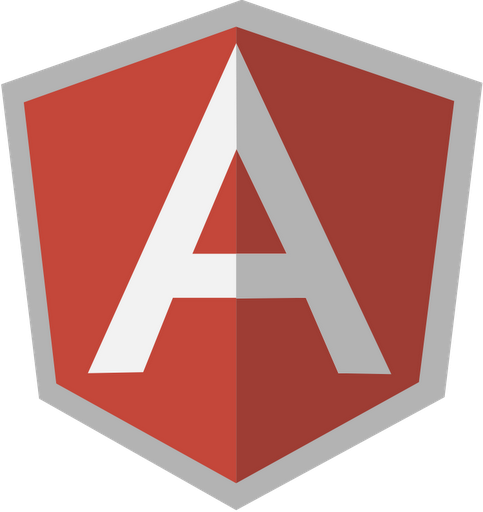 Just so you know, Angular will do regex validation by default with ng-pattern. The example above was something I threw together *just* to make an example. Hi, thanks a lot for the sample code and for explaining how all this works. I have a question. I'm dealing with a standard "change your password" form where you need to validate that the password field contains the same value as another form field (let's say a "repeat your password" or password 2 field). I want that if both fields are not equal between each other call the $setValidity on both ngmodels but I'm not finding the way to call from one ctrl.$parsers.unshift or directive link function the $setValidity or the other field I'm not currently validating. Do you know how can I get that? I'm really lost..
Sure, it's pretty simple, you'd follow the same principles, but you'd probably want to pass the other property from the scope you'd want to check. And you might want to add a watch to that property as well. Here is an example on Plunker. Just a really quick mock up. But it should serve the purpose. Hey, this was super helpful! Of all the tutorials that have saved my sanity lately, this is exceptionally well written. I appreciate the comments along with the code. Those will be useful for a long time. Hi. Thanks for the above it was helpful. I followed the code above as a template to write a unique directive. However, when used in conjunction with required, required is set to invalid every time my custom unique check is set to false. I assume it is something stupid I'm doing?? If you want your validation to be fired "first", you'd use $formatters.push rather than $formatters.unshift. Same for $parsers. Thanks so much that did the trick! Awesome post. Thanks for this post. It helped me A LOT! Line "return valid ? value : undefined;" causes problems with multiple validators. For example you are checking if any number entered and also has required validator (any chars entered) and the requirement is to show required only when there are no characters entered. Returning undefined causes $error required to appear falsely.